The round tower churches of England are an incredible Saxon and Norman cultural legacy. These fantastic historical structures feature round, rather than square, towers and were mostly built during the early Norman period. They have their roots in Saxon tradition and are confined to just five counties, with the vast majority of them in Norfolk (124 intact and eight ruins). This could be due to the smaller stone found in East Anglia being more easily fashioned into round towers, but the enigmatic structures are shrouded in mystery, with little known about their origins. The fight to keep them in good shape has been taken up by various organisations, but none more so than the Round Tower Churches Society. The charity, under the patronage of HRH The Prince of Wales, does wonderful work to raise awareness and funding to help preserve these unique buildings for future generations. This interactive map shows the location of all 183 surviving historic round tower churches in England. Below it is a comprehensive list of the churches in each county. To learn more about the round tower churches, visit the Round Tower Churches Society. You can support their work by making a donation, joining the society or purchasing a gift item. You can also find them on Twitter and Facebook. 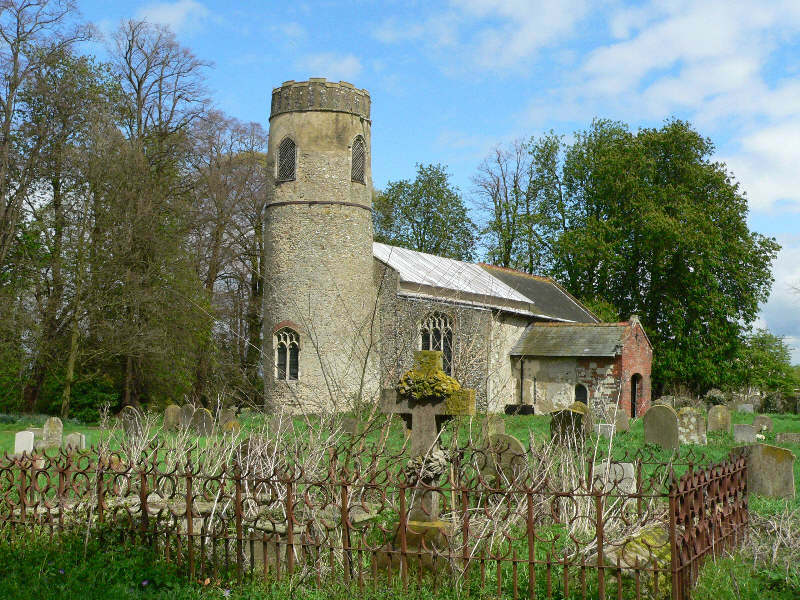 A number of the round tower churches are cared for by the Churches Conservation Trust, a charity dedicated to preserving historical churches that have fallen out of use. Follow them on Twitter and Facebook. 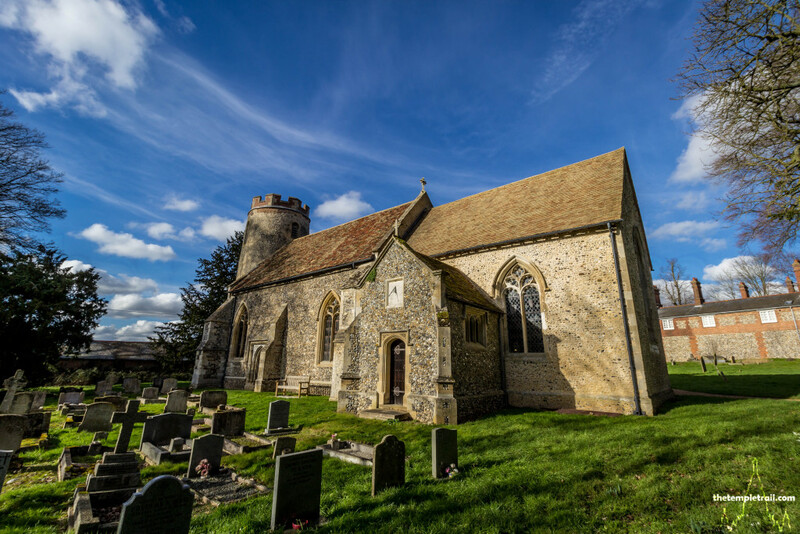 The National Churches Trust has also provided support and grants for a number of the round tower churches and the good work they do helps preserve many historical churches. They are on Twitter and Facebook also. The Norwich Historic Churches Trust Manages St Etheldreda and St Mary at Coslany along with more in the city of Norwich and are an excellent source of information for Norwich’s churches. Follow them on Twitter and Facebook. The Norfolk Churches Trust manages St Margaret’s in Morton-on-the-Hill and All Saints in Barmer along with several other churches. Find them on Twitter and Facebook. Another fountain of information on the round tower churches is the bilingual Round Tower Churches. The site is full of very useful information about the churches. Norfolk Churches is a well-researched catalogue of knowledge with a wealth of information about many of the round tower churches. It also has sister sites about Essex, Suffolk and Cambridgeshire. 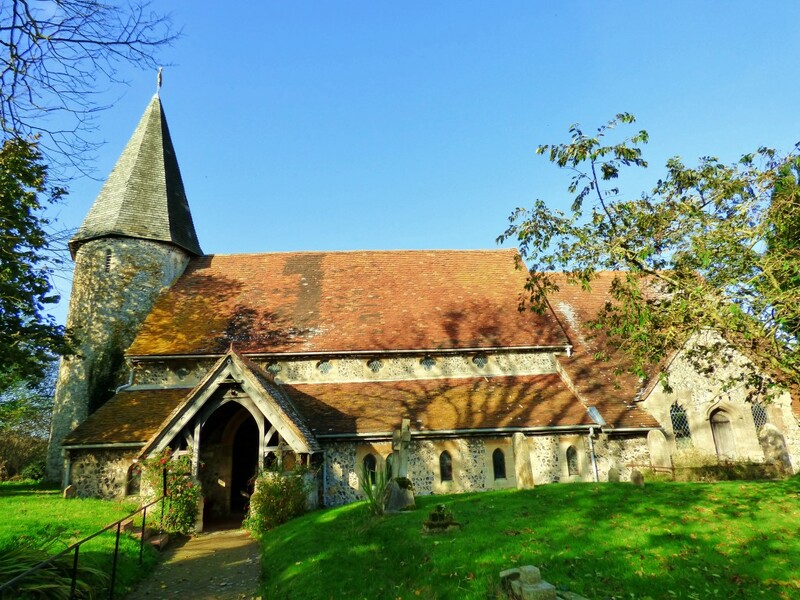 Sussex Parish Churches is an excellent resource for research on the historic churches of Sussex. Two of the Norfolk churches (St Mary’s in Burnham Deepdale and St Mary’s in Titchwell) are part of the Saxon Shore Benefice, which has interesting information about round tower churches. Three of the Norfolk churches (Roughton St Mary, Bessingham St Mary and Sustead St Peter and St Paul) are part of the Roughton Benefice, which has more information about these churches on their website. Sadly, a number of round tower churches have not survived the forces of nature and human destruction. While many of these have been fully wiped off the face of the earth, a few lie just below the surface. 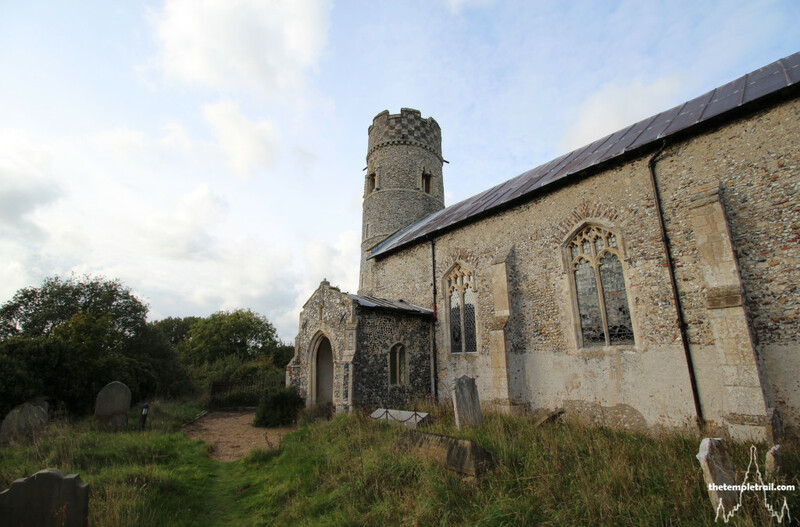 David Stannard wrote a wonderful piece about the ruins of Eccles St. Mary in Eccles on Sea in Norfolk for the December 2015 issue of The Round Tower. The article is very well researched and paints a vivid picture of the history and decline of the church now buried under the beach. Many thanks for all the work you have done on this. An amazing resource for The Round Tower Churches Society and for all those who love our churches. I am very pleased that you like it. I hope that it proves to be a useful resource for you and visitors to the round tower churches. I knew that I wanted to do something after visiting St Mary’s in Haddiscoe and being amazed by its beauty. The map is the result of that inspiration! I hope that I can be of help to the Round Tower Churches Society in the future. Thank you for your kind words about my piece. Thank you also for drawing my attention to Eccles St. Mary. I read your article for The Round Tower and enjoyed it very much. It made me want to go shovel-in-hand to Eccles beach! I have added a few words and a link to your article at the end of this page. This looks a great site. I look after the web-site for the Roughton Benefice near Roughton, Cromer, Norfolk. We have three round tower churches that you list, Bessingham, St Mary, Sustead, St Peter & St Paul and Roughton, St Mary. As we now hove our own web-site, can you provide links on your site to ours, please? I have added the Roughton site to each of the churches and at the end of the article. Thank you for contacting me and letting me know about your website. This map is quite simply excellent! Thank you so much for putting it together. I have used it to plan 1900 miles of cycling across Norfolk over the past year to visit 123 out of the 124 round towers. I have just the church at Stanford – in the middle of the MoD training area – to go (anyone with any tips as to how to get access by bike??). Thank you for your kind words. Good luck with your cycling trip – that sounds amazing! I have not personally visited Stanford – I imagine that the best course of action os to talk with the Round Tower Church people – they are great and can give you super advice. Best of luck and let me know how your trip goes. Thanks for sharing this link, and for helping out Jeremy. I will, unfortunately, be out of the country for the tour, but hopefully others will use the link to attend. Looks like a fascinating day.